So, I’m no Roger Federer yet. However, I have come to quite enjoy the game of tennis. I haven’t played much as of now, but from the little I have played (singles and doubles), I take great pleasure and pride in the activity; it takes considerable energy, patience and control and maybe just a little luck. My serve is atrocious, as it’s mostly an ugly lob going in slow motion over the net, which enables my opponent — my best friend, Buckle — to pick his spot expertly and exploit my ability to get to the ball. Today, he kept sending the ball careening back at me making it difficult to respond. However, when he served, I, likewise, was able to expertly locate my shots. Instead of sending it careening back at him, I would place the ball lightly over the net not allowing him much time to get to the ball. I lost all five best of seven series we played and an additional best of three series we played. It went 4-2, 4-2, 4-1, 4-3, 4-2, 2-0, I believe. We each made some great shots, some not so great shots and played hard. He’s just better at controlling the ball and locating it than I am currently. I feel like he’s beatable, anyhow. In the end, I ended up with a Mountain Dew/cherry Icee to cool me off, so I feel like I won something. 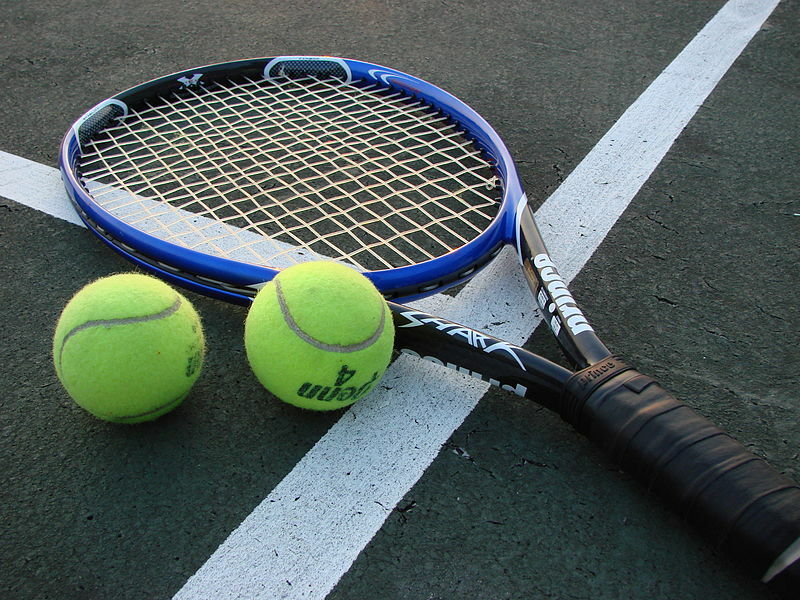 Tennis is a great sport for fun and exercise. You can play it into your advanced years. I’ve known people in their 80s who still play quite well and enjoy it tremendously. Thanks for the feedback. Yes, it’s definitely great for exercise. It’s tiring to say the least, especially in the extreme heat!